In 2010 Todd Johnson established a girls lacrosse program via the Jr. Raiders organization. His goal was to introduce lacrosse in a motivating and enthusiastic atmosphere where fundamental skill building is coupled with strategic game instruction. The program quickly expanded from 1 team of 5th & 6th grade girls to 6 teams for girls in 3rd & 4th through 7th & 8th grades. Most recently, a Little Laxer program for girls in kindergarten through 2nd grade was added. The Little Laxer program, in addition to introducing the sport to the young athletes, provides the opportunity for current High School Varsity Lacrosse players to mentor the youngest lacrosse players in Hillsborough. By the 2017 season, the program had grown to a total of 97 girls participating in grades kindergarten through 8th grade with ten former Jr. Raider Lacrosse players going on to play D1 or D2 lacrosse in college. 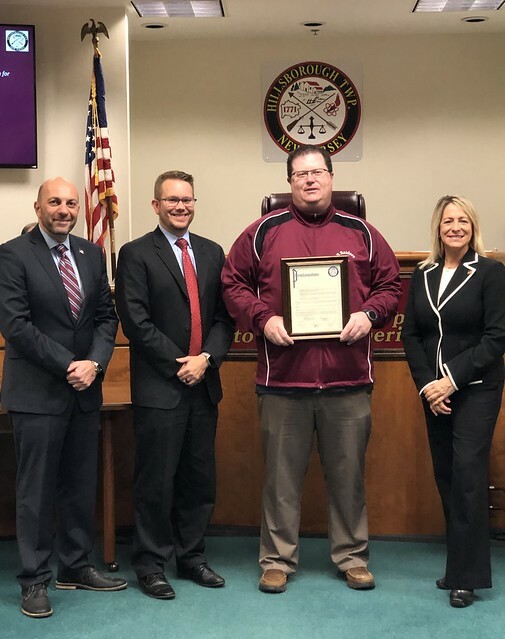 The Hillsborough Township Committee commends the efforts of Todd Johnson in establishing a girls lacrosse program for ages kindergarten through 8th grade as well as a mentoring program for high school players in Hillsborough and thanks him for his dedication to this program and the athletes.